Bollinger Motors is the company behind the big and blocky B1 Electric SUV. 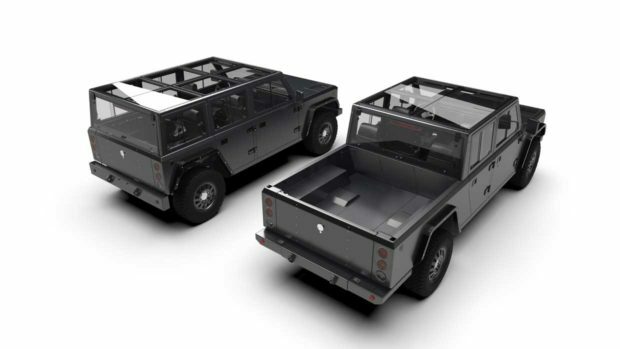 Now it has unveiled a pickup truck, dubbed the B2. The vehicle is street-legal and builds on lessons learned from the B1. The B2 is larger than the B1, and offers four doors, dual motors, all-wheel drive, a hydropneumatic suspension, in-wheel portal gear hubs, front trunk space, and pass-through doors for transporting long items. The truck gets its power from a a 120kWh battery pack, and its dual motors generate a total of 520 horsepower and 514 lb-ft. of torque. Weighing in at 4800 pounds, it still manages to turn in a solid 6.5 second 0 to 60 time, though you’re not buying this thing for its speed. After all, it tops out at 100 mph. The bed of the truck is 4’1″ wide by 5’9″ long. If you put the internal cab tailgate down, it can carry full 4’x8′ sheets of plywood. With its rear glass doors open, the B2 can carry up to 72 sheets of plywood. 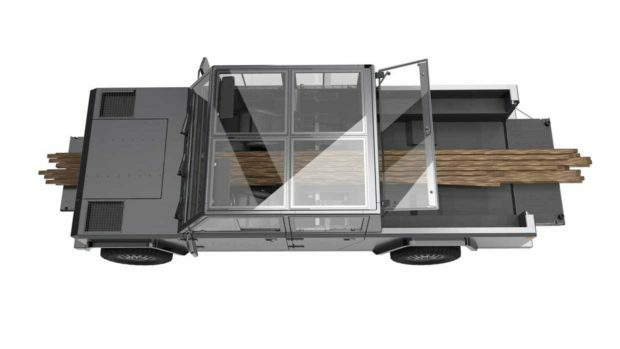 The B2 is a Class 3 work truck with 10,001 gross weight rating and can haul 5,000 pounds, though all that added weight has got to put some strain on those electric motors. 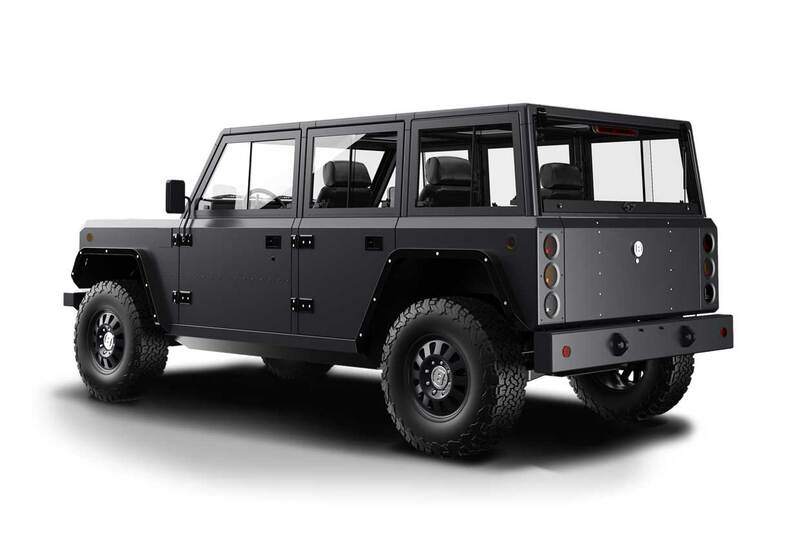 Bollinger offers no indication of how much the B2 might cost for now. 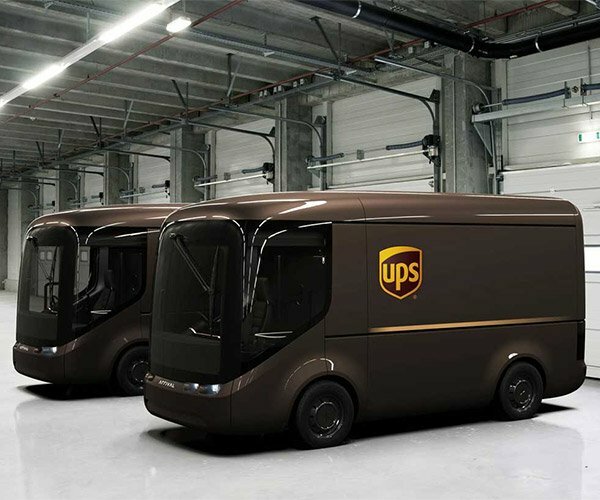 The automaker plans to offer information on options, pricing, and hopes to start deliveries in 2019. 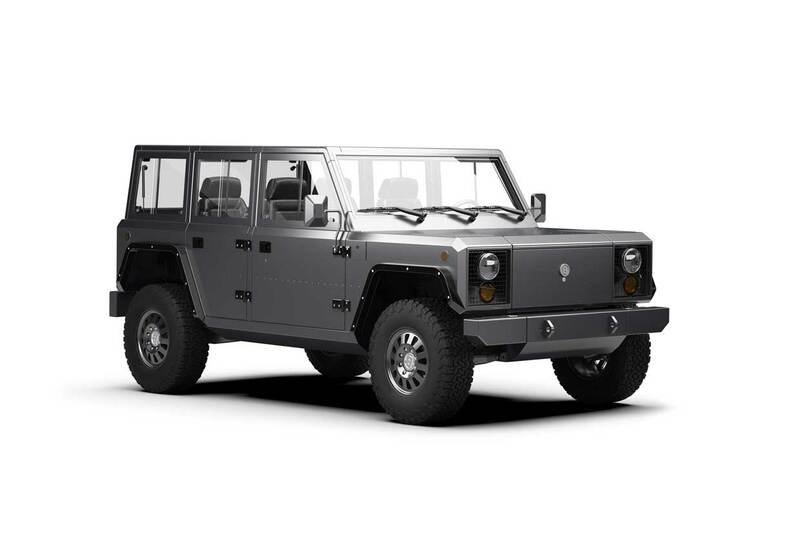 People interested can reserve a B1 or B2 with no money down on the Bollinger Motors website.